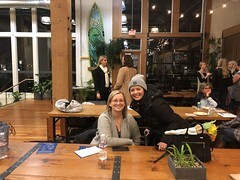 It was a busy couple of days for our Portland, OR friends! 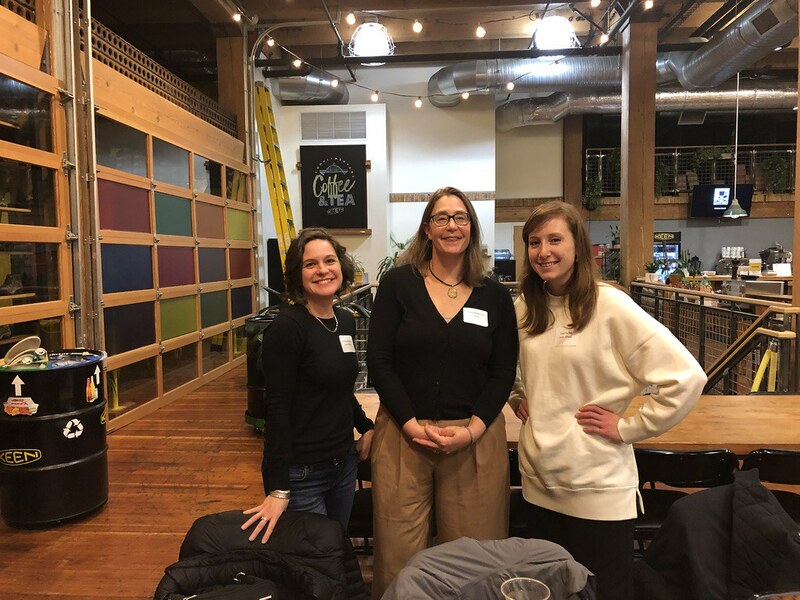 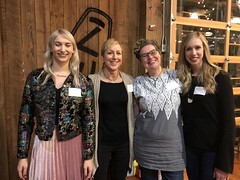 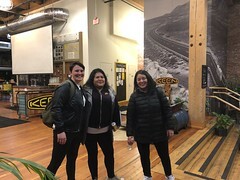 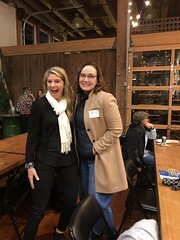 On Wednesday, January 16th, the women of Portland came out to support a regional WIFI event at KEEN’s downtown headquarters space. 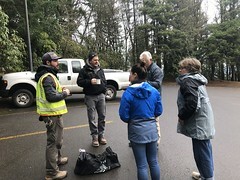 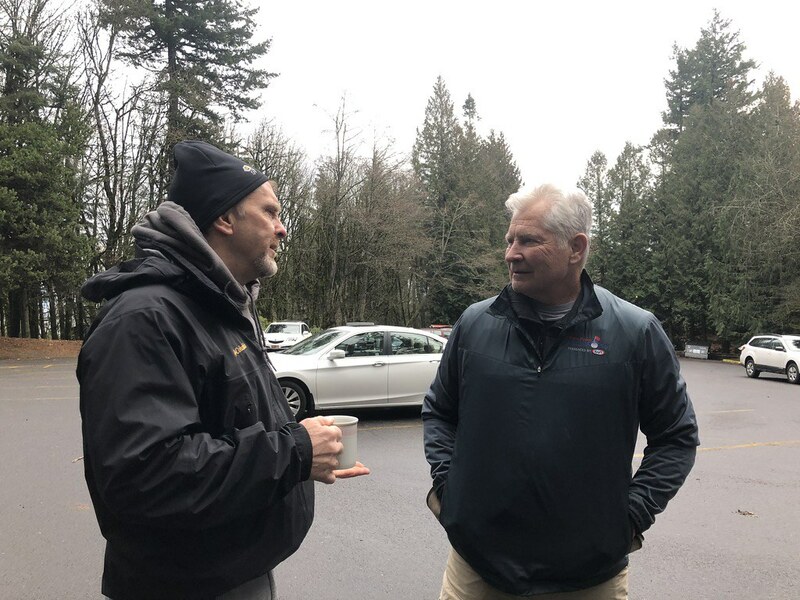 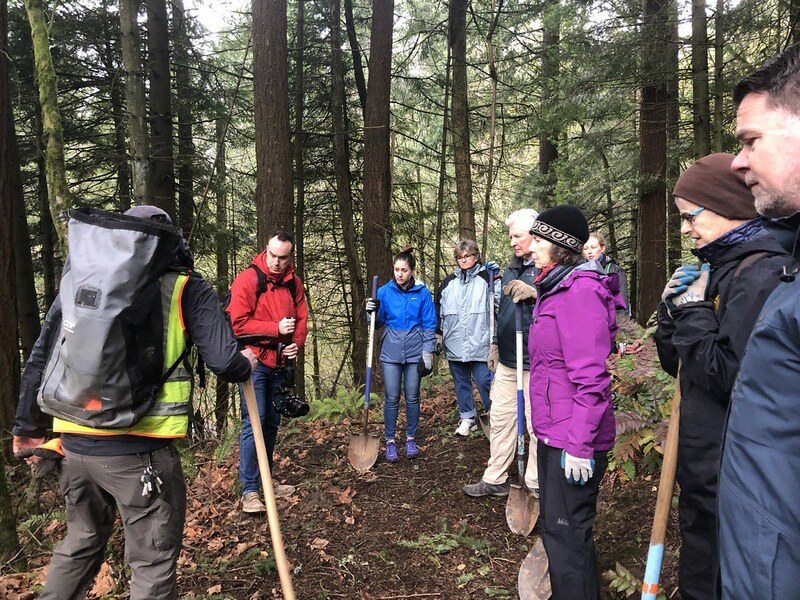 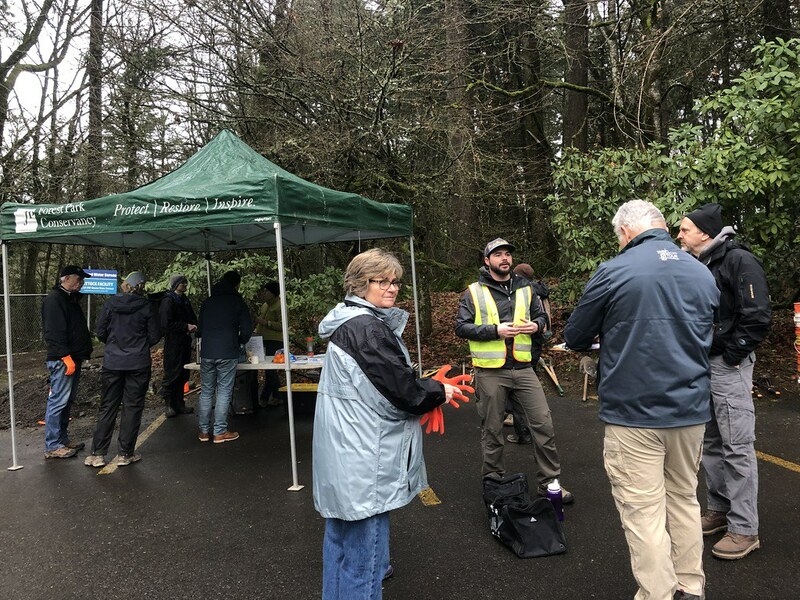 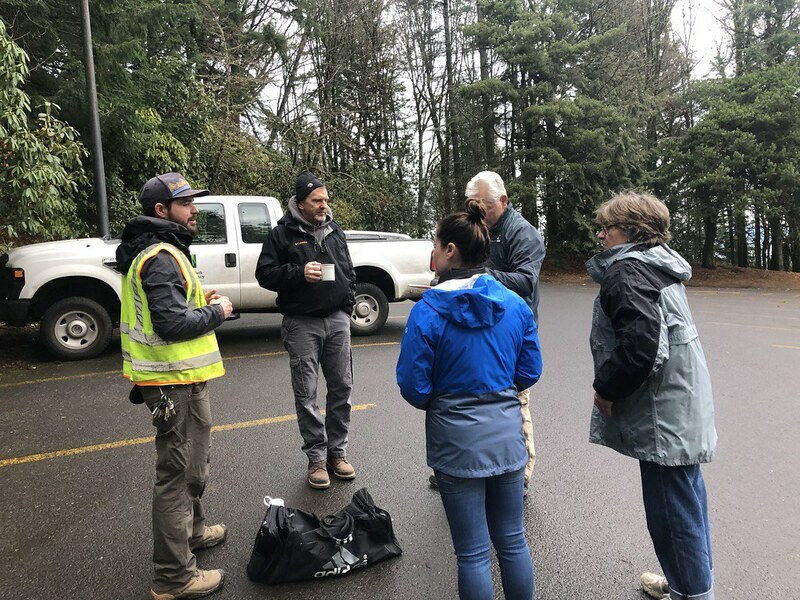 Then, on Thursday, January 17th, both male and female Two Ten supporters joined us and the Forest Park Conservancy at Pittock Mansion for trail maintenance along one of the largest urban forests in the United States. Read below for a recap of both great events! Negotiation was the theme of the evening for the Portland WIFI chapter gathering on Wednesday, January 16th. 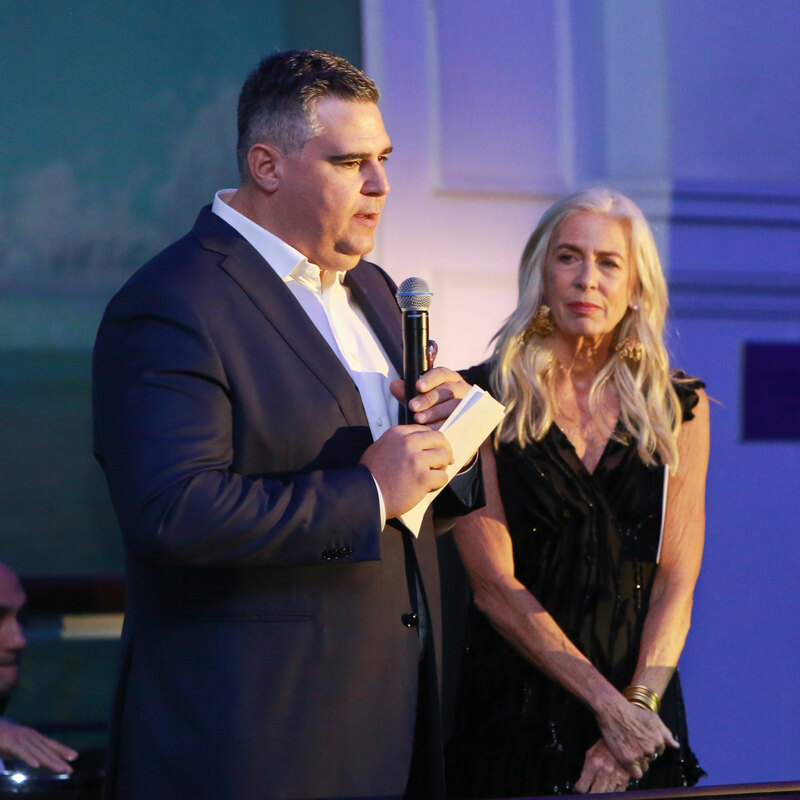 The event took place at a beautiful space at KEEN’s headquarters. 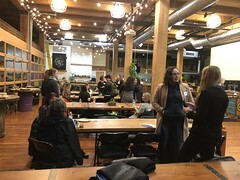 The space, located in downtown Portland, was a great place for women to step out the rain, connect, and share ideas. Rachel Clouser, Barr3 Franchise Marketing Manager, spoke to the group about preparations needed for critical negotiations, the importance of finding advocates in the workplace, and building long-lasting career confidence to go after your dreams. 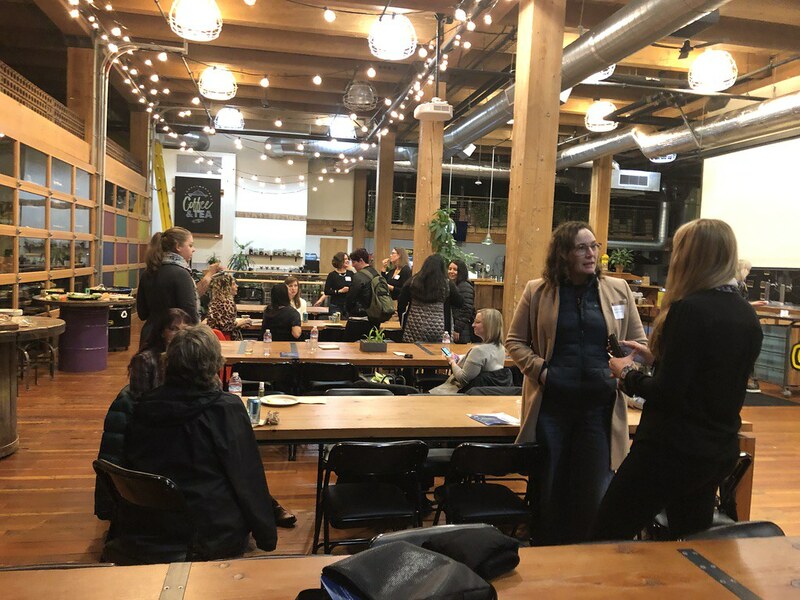 Her presentation covered techniques for dealing with daily negotiation scenarios with colleagues and vendors, as well as those larger, and more difficult, career-defining conversations that include asking for a raise and/or promotion. 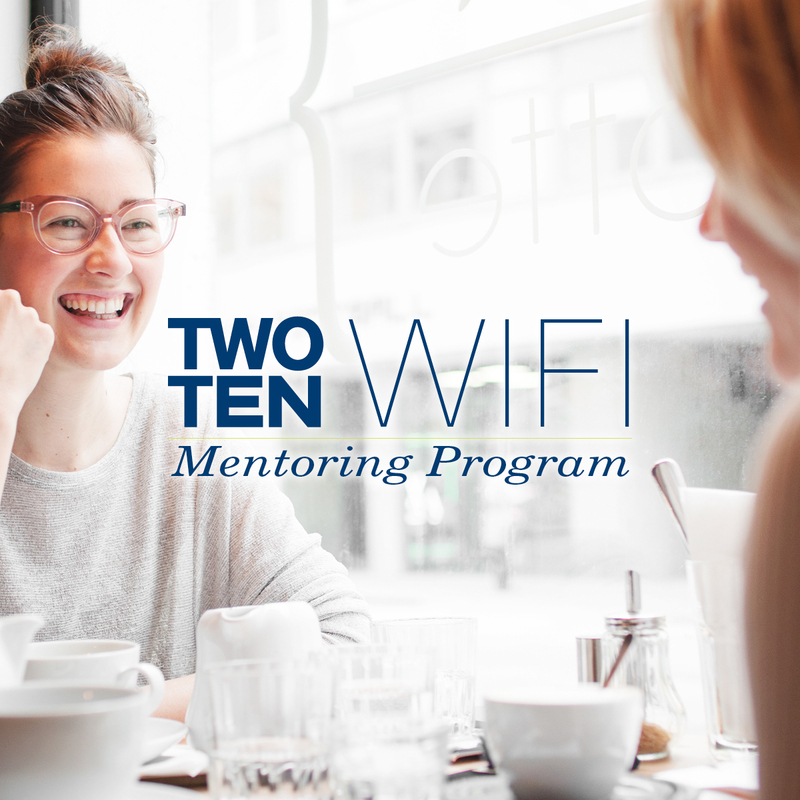 Useful tips included practicing difficult conversations with a trusted colleague, doing proper research before having a difficult conversation, and utilizing colleagues to help you define your strengths and areas of weakness. 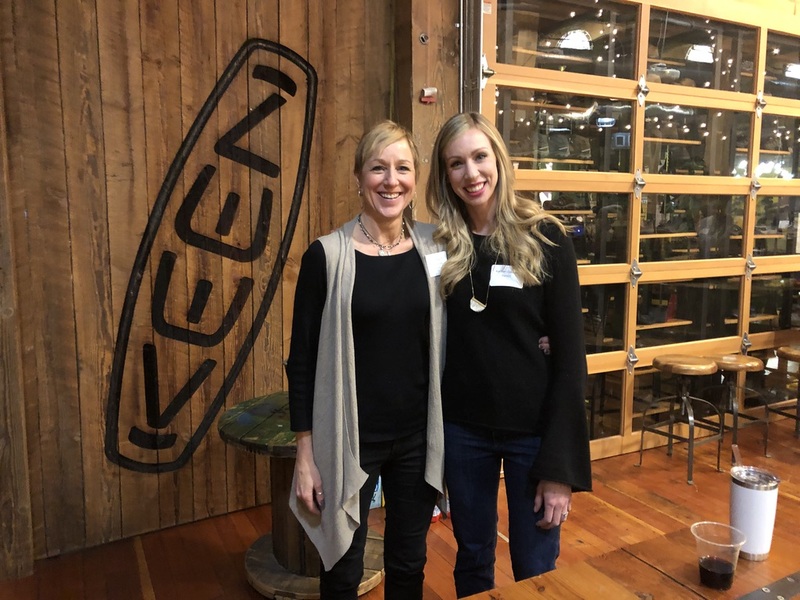 Event participants from a variety of footwear companies including KEEN, Under Armour, Columbia Sportswear, Nike, Famous Footwear and others came out to support Two Ten WIFI and gain insight from the presentation. 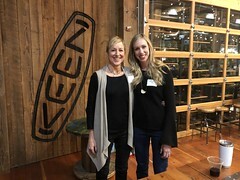 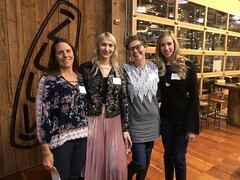 A big THANK YOU to KEEN for hosting the event, to Under Armour for securing the wine sponsor Bryan Shuttlesworth of the Cellar Door, and to all the women of Portland who attended. 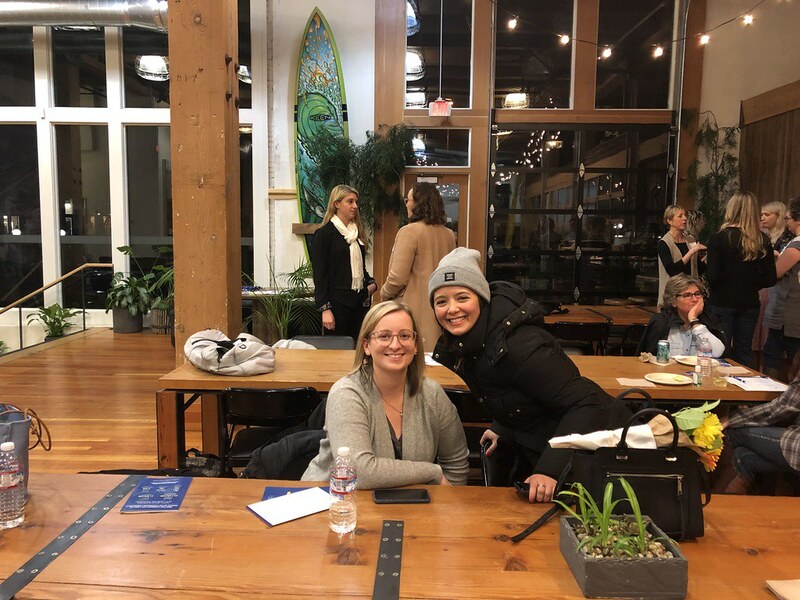 We look forward to building WIFI momentum in this West Coast shoe industry hub. 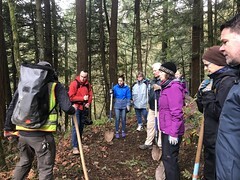 A small yet mighty group of volunteers from NST, KEEN, and Vibram joined us from 9 am -12 pm to give back in the outdoors. 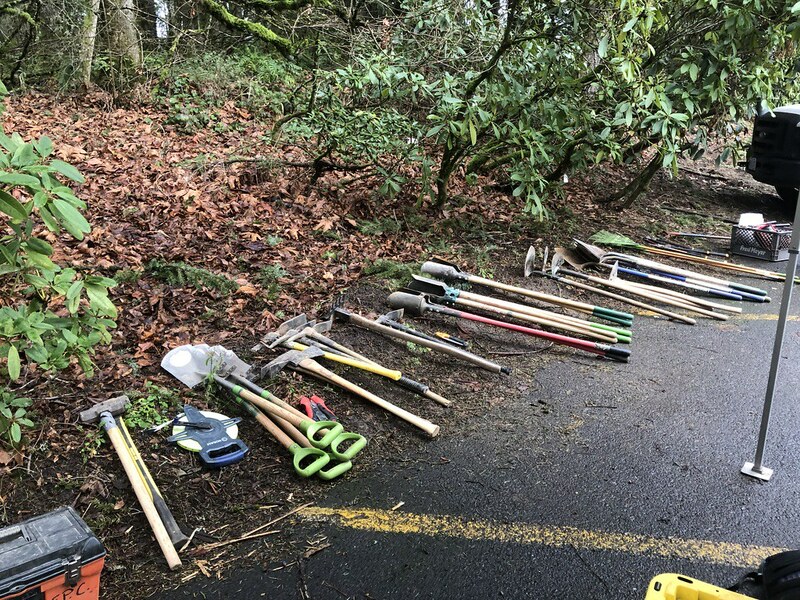 At 5,200 acres, Portland’s Forest Park is one of the largest urban forests in the United States. 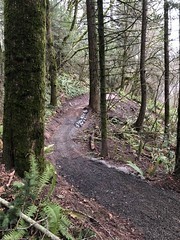 It features more than 80 miles of trails, fire lanes and forest roads for the public to utilize throughout the year. 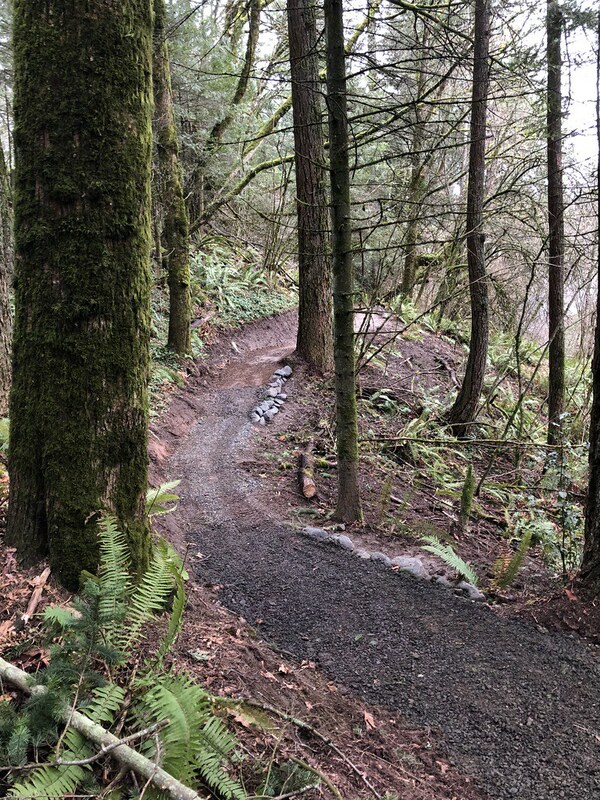 Forest Park stretches for more than seven miles and overlooks Northwest Portland. 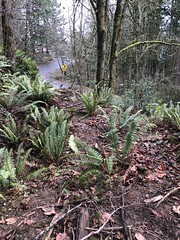 This beautiful landscape is located just outside of downtown Portland and is free to all visitors. 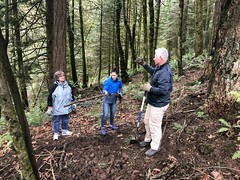 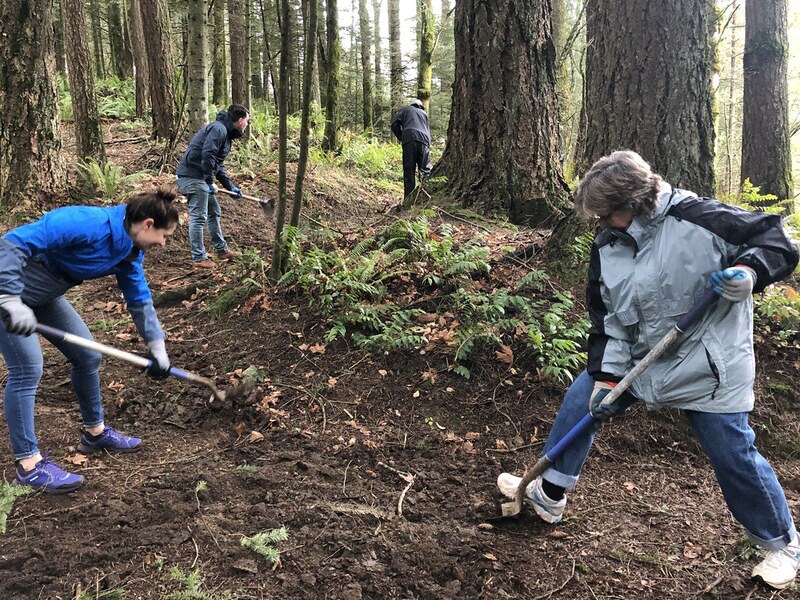 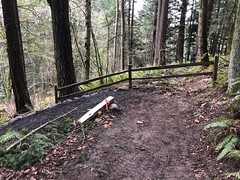 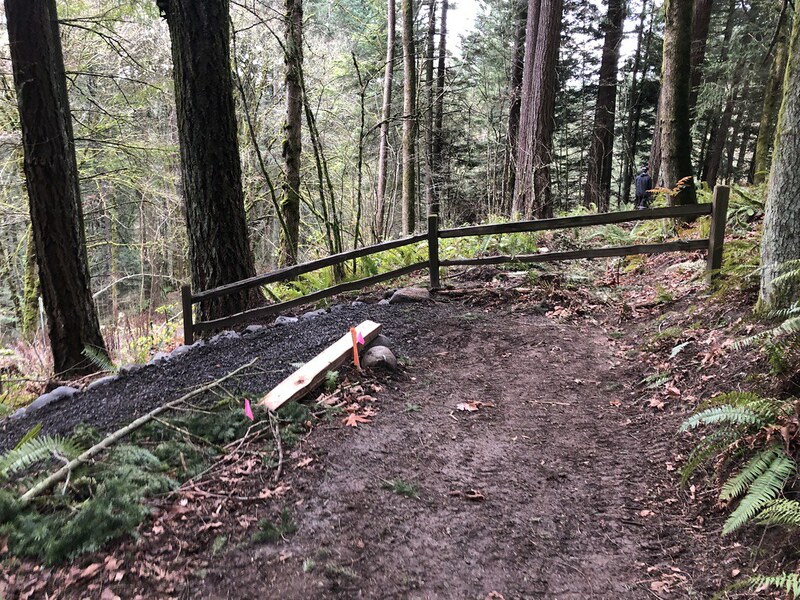 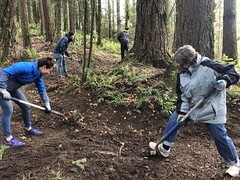 Volunteers worked to decommission a stretch of trail that had fallen out of use after a landslide made the area unsafe. 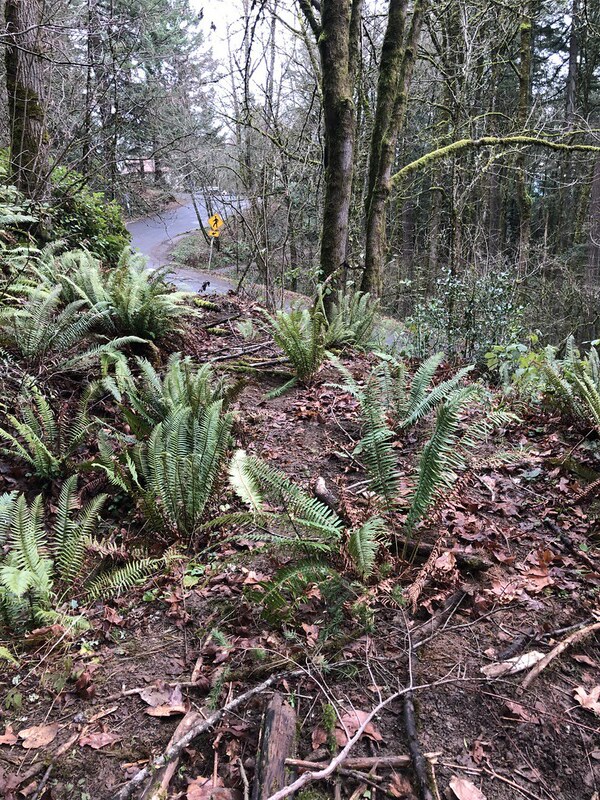 Our goal was to turn over dirt and soil to allow for indigenous plants to regrow and thrive. 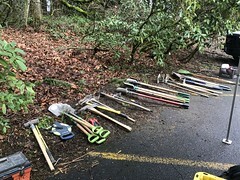 The weather remained dry and cool – perfect for working up a sweat with shovels, rakes, and assorted hammers. 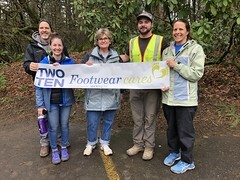 Many of the Footwear Cares and other volunteers who joined us were giving back because of the connection they shared with the space. 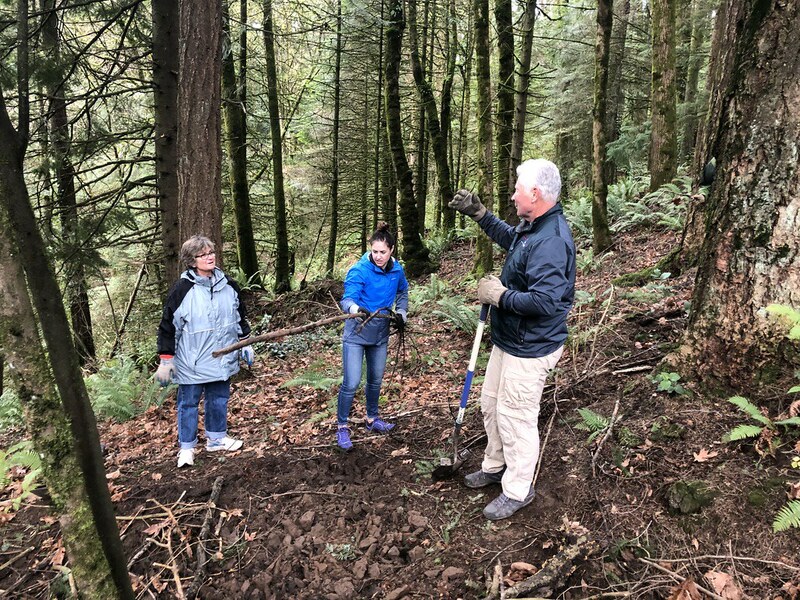 Whether they used the trails for running, walking, bird watching or family time, they all understand the importance of rolling up their sleeves to keep the area pristine and thriving. 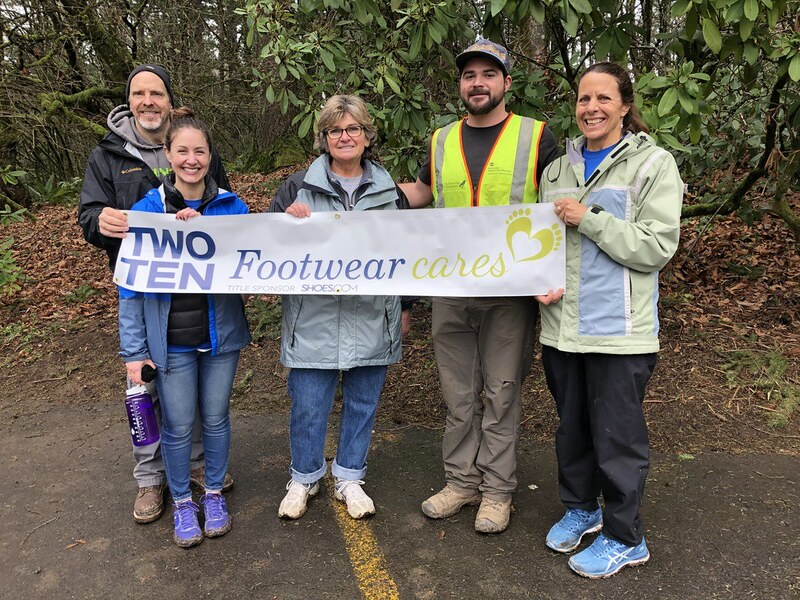 Thank you to our footwear colleagues who gave their time to give back to the beautiful community of Portland. We look forward to many fantastic events to come!